When you are driving down Main Street to Albertson’s, hit a traffic jam on Texas Highway 360 coming home from work at DFW, or are driving your kids to South Euless Elementary School, you could be injured in a rear-end collision. 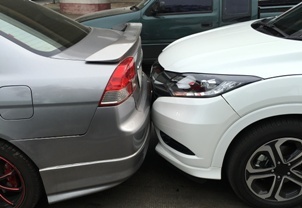 Do not make the mistake of treating your car crash as just a “fender bender” like some Euless residents do. You or your family could suffer serious injuries even if your vehicles were traveling at a low speed, and you deserve to be compensated for your injuries. Aggressive driving. When drivers engage in aggressive driving behaviors, such as tailgating, they do not leave a safe distance between their own vehicle and others. They simply do not have sufficient time to slow down or stop if the driver in front must slam on his brakes or slow suddenly due to construction or traffic, which are both common on Euless roads. Speeding. One of the many dangers of speeding is that it takes longer to slow down and stop when traveling at a faster speed. Many rear-end collisions are caused by the inability of a speeding driver to stop in time—especially dangerous on Texas Interstates 360 and 183. Cellphone distractions. In the few seconds that a person’s eyes and mind are not on the road when talking on a cellphone or texting, the driver in front can stop or slow suddenly. A negligent driver may not have even had time to try to apply his brakes before crashing into the vehicle’s rear end. Intoxication. A driver who is intoxicated due to alcohol or drug use will have reduced vision, slower reaction times, and less ability to judge distances—which can dramatically increase the likelihood that he will cause a rear-end crash. Fatigue. Many drivers in Euless do not get enough sleep due the pressures of work and family. If they close their eyes for a second or fall asleep while driving, you or your loved ones could be injured in a tragic wreck. Weather. Many rear-end collisions are caused in Euless when drivers do not drive for the weather. When a sudden torrential rain storm occurs or we have day of ice in the winter, drivers who do not slow down to a safe speed can slide into the rear end of your vehicle. While the driver in the rear is often presumed to be negligent in a rear-end crash, his insurance company could still try to point the blame at you or discount the seriousness of your injuries. Our experienced car crash attorneys are here to fight these insurance tactics and negotiate a settlement that fairly compensates you for your injuries. Contact us online or call our office directly at 817.380.488 to schedule your free consultation to learn more. What Factors Could Affect My Texas Car Crash Settlement?